3 Bedroom Semi Detached House For Sale in Newton-le-Willows for Offers Over £215,000. Brought to the market with the benefit of no onward chain. 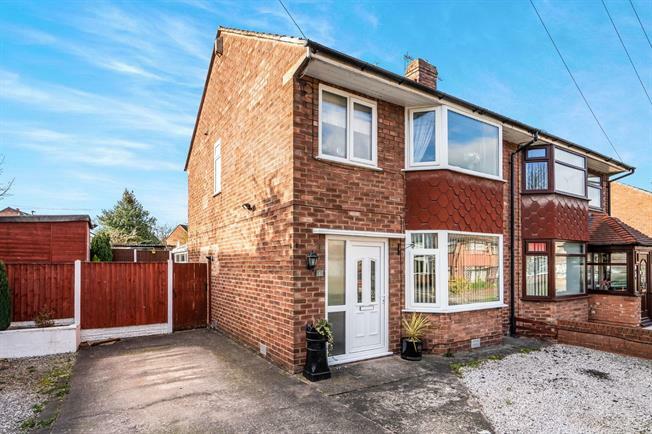 We are delighted to offer for sale this immaculately presented three bedroom semi detached family home. The property occupies a pleasant position in the sought after Warwick Avenue, conveniently ;placed or local shops, schools and amenities. In addition to boasting excellent public transport and commuter links. In brief, the spacious and well presented accommodation comprises; entrance hall, lounge, kitchen/diner, conservatory and WC to the ground floor. Whilst, to the first floor, there are three bedrooms and a four piece family bathroom. Externally, to the front of the property there is a driveway providing ample off road parking. Whilst, to the rear there is a split level garden boasting laid to lawn area, patio and decked area. Internal inspection is advised to fully appreciate what is to offer.